Detective Jack Yu returns in a pulse-pounding fifth investigation in New York's Chinatown--can he save an old gangster friend from a ruthless killer? Chinatown gang leader "Lucky" Louie was shot outside of a Chinatown off track betting establishment on the thirteenth of January, and lay in a coma for 88 days, waking on Easter Sunday. The number 88 is a double-helix double-lucky Chinese number; religion and superstition all lean Lucky's way. But Detective Jack Yu, Lucky's boyhood blood brother, fears his friend's luck is about to run out. 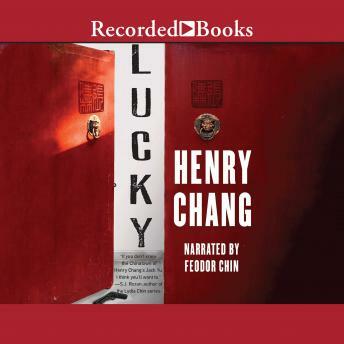 When Lucky embarks on a complex and daring series of crimes against the Chinatown criminal underground, Jack races to stop him before his enemies do so-permanently.